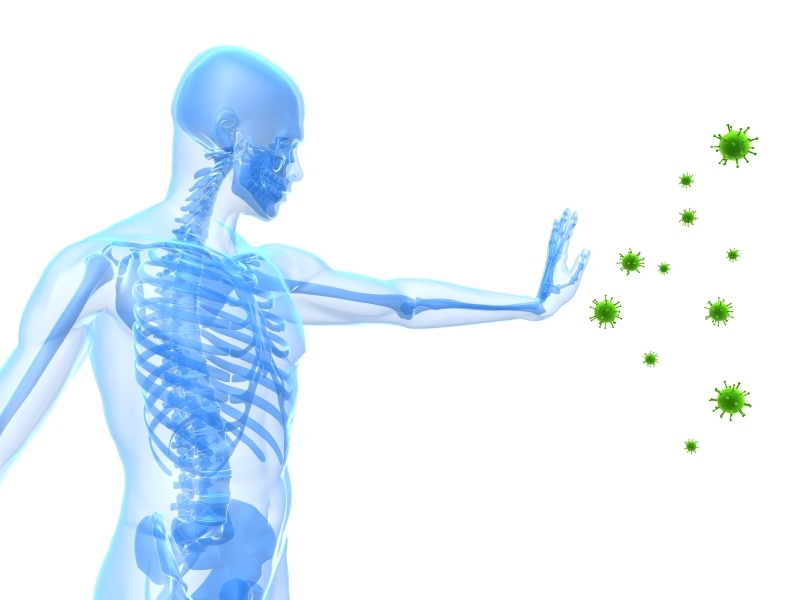 A weak immune system is a common thing that happens to everyone, especially during winters. Coughing, aches and pains, fatigue and runny nose are some of the common symptoms. There are still several days still left for the chilly season. You are still at the risk of catching a cold and falling ill! But, thankfully every lock has its key! You can really work on your immune system and avoid those stressful days of missing work. We have come up with some natural ways of boosting immune system that will keep you healthy throughout the year. Eat Garlic: Garlic is one of the best natural Immune system boosters! It has natural antimicrobial properties. And, thankfully it does not interfere with the normal flora of your body. Sleep Enough: Sleeping as per your body requirements prepares you to fight outside intruders. You should catch up a sleep of 8 hours every day. This is the time when your body restores and repairs itself. Keep your mind Healthy: The mental state of your mind directly affects your physical body! Negative emotions like grief, stress, and depression should be kept at a bay if you want to boost your immune system. The best way to deal with it is, meditation, yoga, and exercise. Eat Healthy: It becomes tough for your body to maintain a strong immune system if there’s a continuous intake of packaged foods and refined sugars. Add more of natural foods into your daily diet. Go for fresh raw fruits and vegetables! Go Green: Incorporating dark leafy greens, raw vegetables, and fresh fruits are the key to a strong immune system. They are rich in phytonutrients. Eat green to boost your immune system. Drink Water: Drinking plenty of water helps in boosting your immune system! It flushes out toxins from your body and relieves your immune system from dealing with these unwanted materials. Drink plenty of pure filtered water to boost your immune system. Keep Check on Vitamin D: Vitamin D is supposed to be an important ingredient in white blood cells activation in your body. Which in turn is supposed to protect your body from falling ill. You can smartly keep a check on Vitamin D level in your body by exposing to Sun. It will ultimately help in boosting the immune system! Exercise Regularly: It’s very important to keep your body moving! It helps in a number of ways including getting you with a strong immune system. Not exercising can lead to weakening your immune system by stagnating your immune system. Vitamin C Intake: Vitamin C helps in maturing the immune cells in your body! It helps by increasing antibody production in your body and thereby viruses from entering your body. It’s very important to add Vitamin C into your diet particularly because your body does not produce this particular vitamin. Eat broccoli, oranges, kiwi, Papaya, kale, and brussels sprouts for Vitamin C.
Zinc Intake: Zinc is a very essential element for boosting your immune system! If you are looking for vegetarian sources of Zinc then you must go for Nuts and seeds. But, there has to be a balance, because taking too much of Zinc can lower the efficiency of your immune system. Healthy Fat: Essential Fatty Acids are important for your body to function normally! The human body cannot synthesize these healthy fats and so you must add them externally through your diet. They are helpful in boosting your immune system! Eat broccoli, spinach, nuts, beans, cauliflower, and seed for healthy fat intake. Say No To Overeating: As per a study, it has been found that overweight adults who have reduced their daily intake of calories were found to boost their immune system to about 50 %. That clearly shows that restricting the calorie intake can help in boosting your immune system. Drink Coconut Water: Coconut water is rich in lauric acid, one of the components of breast milk that helps in boosting the immune system. It is antimicrobial and antibacterial and helps keep your body disease-free. Turmeric: Turmeric is popularly known for its high antioxidant capacity, and is believed to be helpful in digestion and controlling inflammation. It plays the role of a vacuum cleaner for your body as it frees your body from free-radical debris. Keep Washing your Hand: Cleanliness is Important if you want to stay healthy! It helps by warding off germs and bacteria. This, in turn, helps in preventing infection and illness and makes your immune system strong. So, these are a few of the natural ways of fighting diseases and boosting your immune system. Prevention is always better than cure! Incorporate these healthy resolutions in your daily life and the result will be visible for sure.